Passport to the Internet that is... this is a Ministry licensed online resource created by the Media Awareness Network for teachers to use with students when teaching about digital safety and citizenship. Review some valuable resources as you begin to weave your way through the internet. Your passport access code will be provided in class by your instructor. 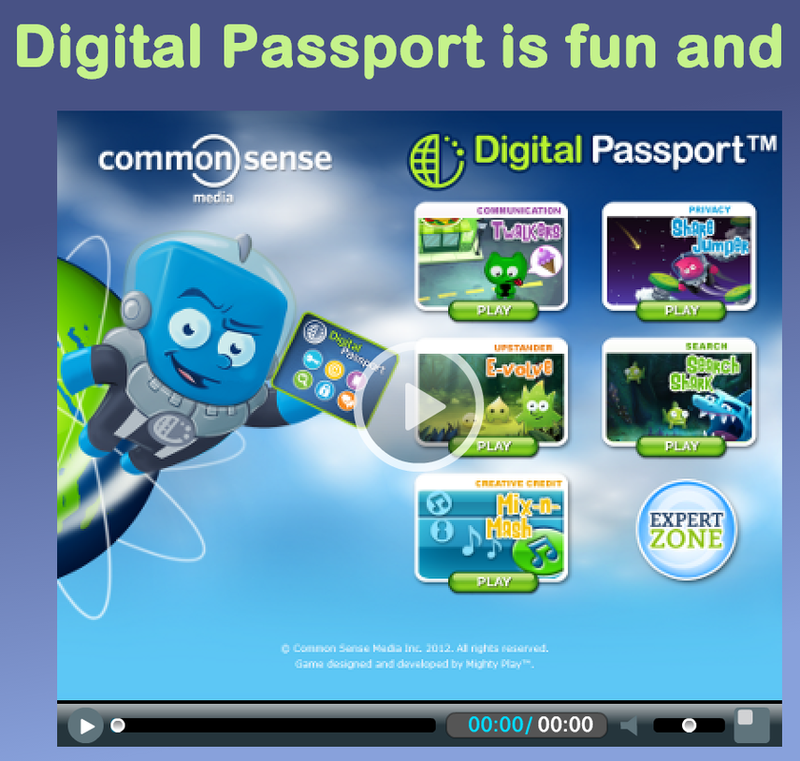 The Digital Passport is provided free to educators. Teachers can set up student access to the web portal so they can play and learn while achieving the goal of acquiring their digital passport. The modules include communication, privacy, cyberbullying, searching, and creative credit. For each module, student achieve a badge which is collected in their digital passport. ﻿Teacher tracking, resources﻿ and video information is available throughout the site. Digital passport is available for BYOD and mobile access users. Watch the introductory video - linked from the image to the right. With the primary audience for the information from this site being the United States, there are still many tools and resources on this site that are ready for the Canadian educator to find, adapt and apply to their teaching. The classroom poster section include items on digital citizenship, and care & maintenance of technology. The scope and sequence chart provides an interactive collection of age appropriate resources for use in the classroom on a variety of media and digital literacy topics - internet safety, privacy & security, cyberbullying, creative credit and copyright, self-image & identity, digital footprint & reputation, and relationships & communication. The repository of webinars is a rich resource for learning about accessing, using, creating, and reflecting with digital technologies. Young Canadians in a Wired World, Phase 3: Encountering Racist and Sexist Content Online, June 2014. Young Canadians in a Wired World, Phase 3: Sexuality and Romantic Relationships in the Digital Age, May 2014. Young Canadians in a Wired World, Phase 3: Experts or Amateurs? 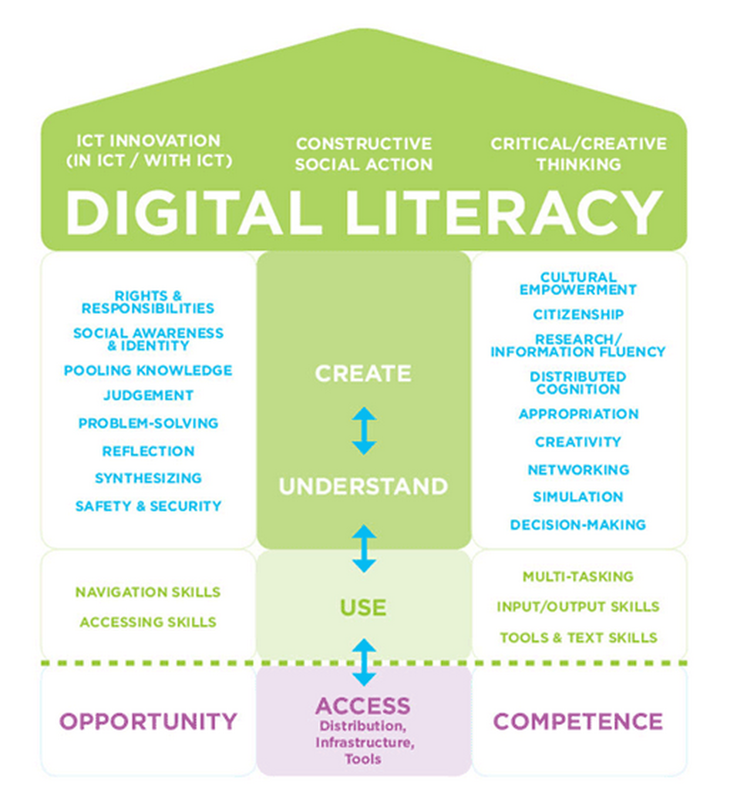 Gauging Young Canadians' Digital Literacy Skills, March 2014. Young Canadians in a Wired World, Phase 3: Cyberbullying: Dealing with Online Meanness, Cruelty and Threats, March 2014. Young Canadians in a Wired World, Phase 3: Online Privacy, Online Publicity, Feb 2014. Establishing the Guidelines for participation and highlighting digital citizenship can be done in the first five days of school, or planned throughout the course of the school year. Think about the steps outlined on this website: How to Tackle Digital Citizenship the First 5 Days of School. But don't leave it to only the first five days. Weave these essential life skills throughout the year and within all subject areas.